Southwest Louisiana's longest-running reggae tradition...Rasta Reggae Radio! You will hear 2 hours of True WordSoundPower including classic to 21st Century Roots-Rockers, ska, rocksteady, dee-jay, nyabinghi, dancehall and dub. A typical program will open with earlier vintage classics before moving to newer releases, followed by a live-in-concert set and a dancehall set before concluding with more classics from the Golden Age of Reggae. 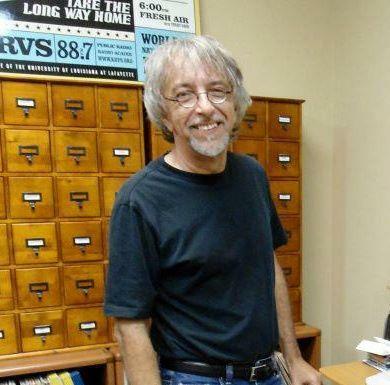 KRVS was the first Southwest Louisiana radio station to establish a steady weekly Reggae showcase beginning back around 1980. Cecil is the third host to take the reigns of this long running program (his current stint began in 1994). For over 14 straight years now, he has manned the board live in-studio each and every Sunday night without EVER missing a single broadcast (well, maybe just once). Besides the multi-generational musical offerings featured on the program, there's lots of background info on the current and classic studios and producers who were responsible for creating this genre. Guaranteed Crucial Riddims for two non-stop hours! Reach the Irie-ites each and every Sunday nite from 9-11pm or the rebroadcast on Friday nights at 1am right here on KRVS and JAH MON!